The Honda Civic is a reliable and trustworthy car. I have had it for a few years and I personally love it. It is not a fancy high end luxury vehicle, but it is comfortable and takes me where I need to go. I am the second owner of the car. During the few years I have owned it, I have not encountered many problems with it besides the brakes. I had to get them changed last year. But that is expected, especially with all the driving I have to do in Florida, and the car is 16 years old. My brother changed the radio in it, so I can both charge and listen to music from my phone during my commute. My only big issue is the paint. The sun has caused so much damage to it. And I have noticed a lot of older models of Hondas (no matter the make) have the same problem. I also like how easy it is to make small adjustments or slight modifications to the car to fit your style. 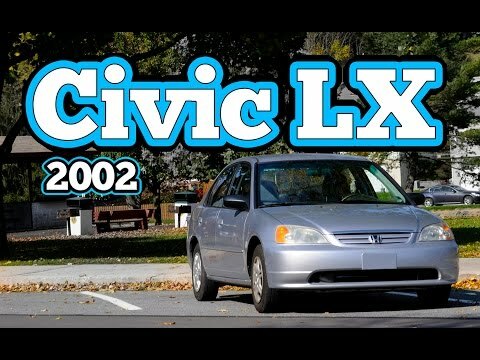 Honda Civic 2002 review of car performance and interior/exterior. My Honda Civic runs great at 182, 000 miles. The car has been passed down from family and very rarely does it give us problems. We have always kept up with the oil changes and tire rotation and I can tell you that this Honda has really treated us good. I rate this Honda a 4. 9/5 because for it to be a five out of five for me I would just like the seats to not wear out so fast. Another thing about it not being a five out of five for me is because the exterior gets beat up and damaged sort of easy. Nothing that makes it crazy noticeable but just for a nicer look I wish it wouldn't be so easy to damage. Best all-around car for whatever you need! Love my Civic! Great gas mileage, works just fine in snow if you know how to drive. Does just fine in the rocky mountains, carries large car-seats comfortably, easy to work on and replace parts, easy to install aftermarket modifications such as body kits as well as awesome stereo systems. Ac is still working strong 16 years later, cheap parts and labor when needed. Regular oil used so oil changes are not 100$! Drives smooth, still has the power to go fast when needed, the seats are comfortable for everyone and Honda is a strongly recognized leader in automotive engineering! On certain passenger vehicles, during the assembly process, the air cleaner box cover may have been damaged, and a broken plastic piece could travel into the intake chamber. If the plastic piece lodges in the throttle body, the throttle could stick in a partially open position. Although the driver can always stop the car by applying additional brake force, or by taking other actions (i.e., shift into neutral, turn off the ignition key, etc. ), if the car continues to maintain speed when the driver is expecting it to slow, a crash could occur. Dealers will inspect the air cleaner box for damage. If damage is found, the dealer will locate and remove the broken plastic piece, and replace the air cleaner box lid. The manufacturer reported that owner notification began Oct. 25, 2001. Owners who do not receive the free remedy within a reasonable time should contact Honda at 1-800-999-1009.